N/A English. Gran is short for grand. Drac is short for dracula. Matadormon + Win Ratio 60%! Vandemon + Win Ratio 60%! Astamon + Win Ratio 60%! "A Vampire King who has corrupted many angels. 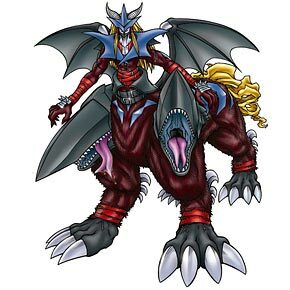 "* This Digimon must play second. During battle, you may force your opponent to discard all the cards in his Slot. *Description from Fenrir. The literal translation actually includes the Engrish "falldown" instead of "corrupted", for the record.